Every party I’ve been to, everyone stays in the kitchen, even if it’s the smallest room in the house. This is my “dome-in-the-walk-in-area” project. The idea is to have a comfortable group meeting area at the 2005 Burning Man art festival. 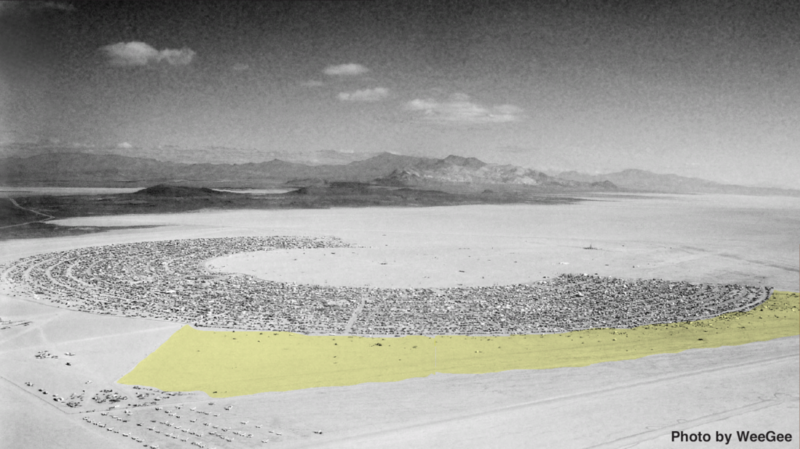 The walk-in area is a little-used part of the Burning Man camping area, shown highlighted in the image below. Check the rest of the posts in the Dome category for the story of the dome’s design and construction.